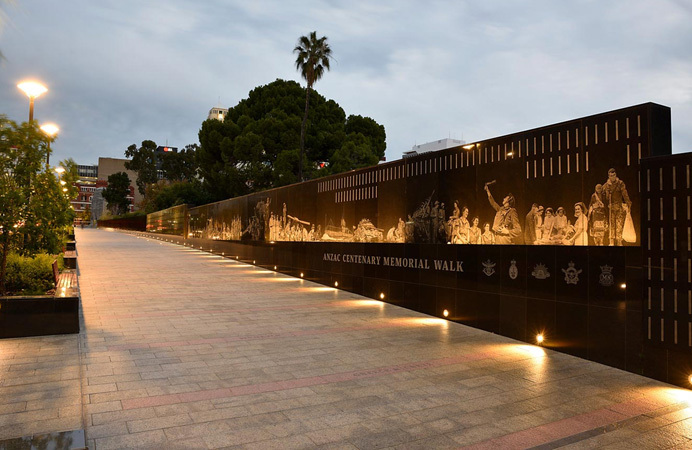 A memorial walk and wall featuring images of South Australia’s servicemen and women have been constructed on the western side of Kintore Avenue. The walk links the National War Memorial on North Terrace with the Torrens Parade Ground. Prior to construction commencement, a dilapidation survey was undertaken of the building and infrastructure on the eastern side of Kintore Avenue, including the State Library and the Migration Museum.